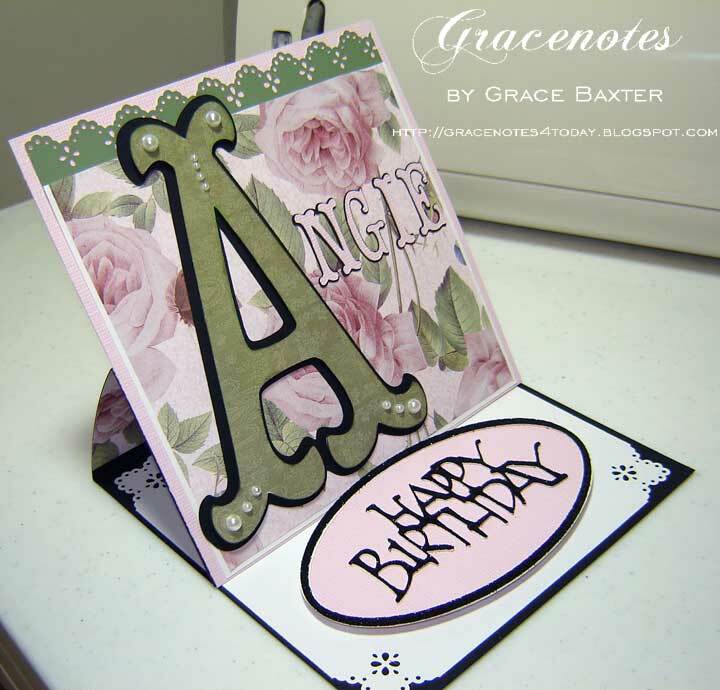 Anyone on your list would enjoy a card that features their name. This one is for my sister and includes some of her favourite things, old-fashioned roses, pearls and lace. As always, I designed this card specifically for her tastes. 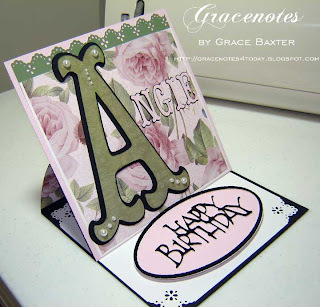 The completed card size is 5-1/2 x 5-1/2" when closed. The base is black. 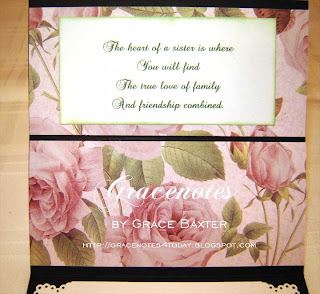 Front cover is pink, layered with white and then rose paper. Punched green strip of lace is glued to the back of rose-lined white panel. 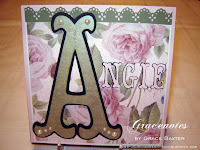 The "A" was cut from pearlized stock in green at size 5, then shadowed in black. 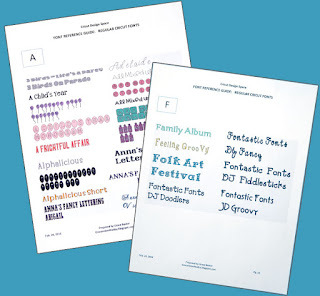 The remaining letters are size 1, cut from pink and shadowed in black. 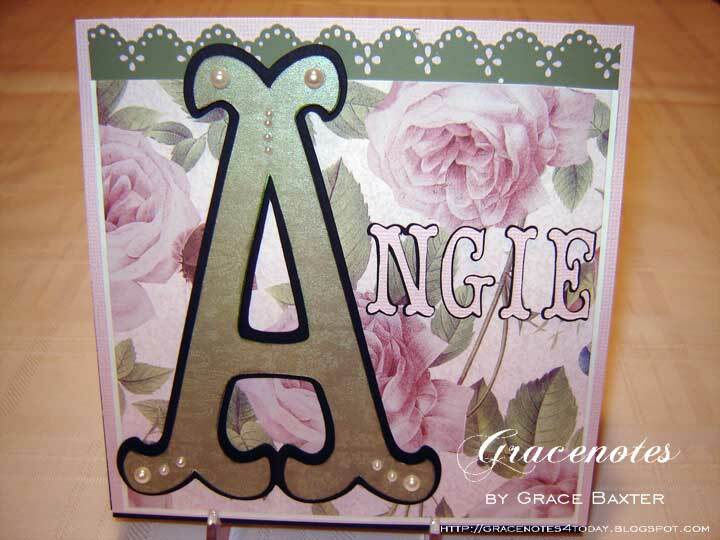 For that touch of elegance I added pearls to the "A" but NOT until the whole card was assembled. Cartridges listed below. The inside top half of the card is split in half again to allow the card to bend when displayed. I used the same rose paper and cut pieces to fit the top and bottom sections. 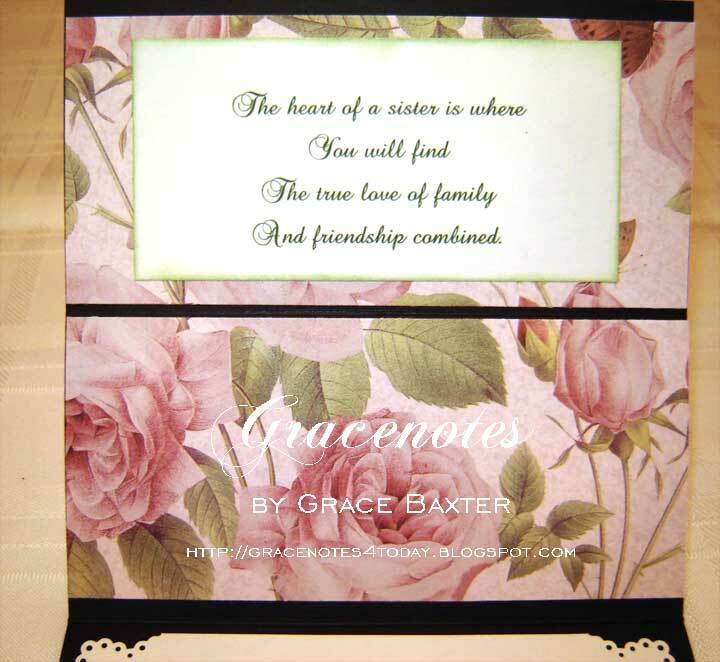 I prepared the "sisters" poem on my computer, printed on white card stock. I cut it down to size and inked the edges in green. For the main message, I first prepared my message on the computer and printed it on white cardstock, leaving enough room at the bottom for the raised "stopper". I punched the corners using my MS lace corner punch to match lace on the front. 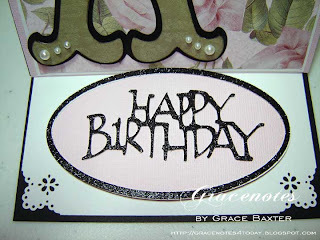 Happy Birthday sentiment is cut from black sparkly cardstock at size 2-1/2 using the oval card feature on the overlay. Note, this cardstock is very thick so the blade needed to be lowered to 6, with pressure at 5. I cut another oval from plain white to layer, for more stability. Using the negative oval hole from the black cutout, I traced an oval onto pink card stock and cut it out by hand. I glued all the oval parts together and added thick dimensional pads underneath. This provided a nice high "stopper" for the easel. I love your card, Grace. I'm sure your sister will. It is elegant. Great job. I'm back, Grace. Please stop by our blog Saturday. We have an award for you.